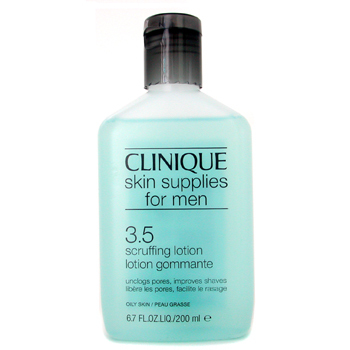 A high-quality lotion for men with all types of skin, this unique ‘Scruffing Lotion’ from Clinique gently clears away dead skin and dirt to revitalize the appearance of your skin. Ideal for use as a pre-shave beard softener, its cleansing effects will reduce razor burn and the potential for ingrown hairs. Avaiable for purchase at Cosme-de.